Slice strawberries and add sugar; toss to combine. Allow to stand at least 10 to 15 minutes for sugar to dissolve. Slice Ding Dongs in half horizontally. 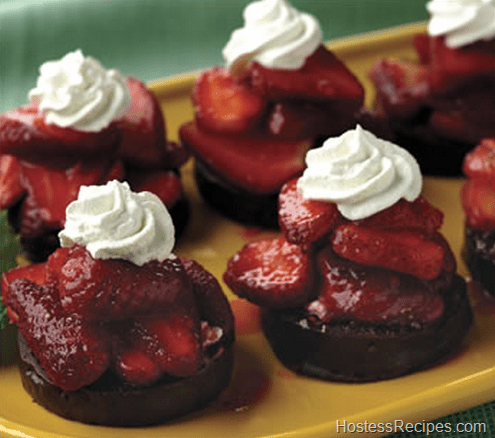 Fill with strawberries and top with whipped cream.